Tóke implemented this exact vision in 2015 when he first traveled to the motherland of Reggae, Jamaica. During his three months stay he had the opportunity to personally meet, jam and work with various artists such as Exile Di Brave, Jesse Royal and the legendary Earl “Chinna” Smith. These people among others were amazed and highly appreciated this young artist’s creativity and talent. This enthusiasm resulted in various invitations for guest appearances at stage shows and collaborations. 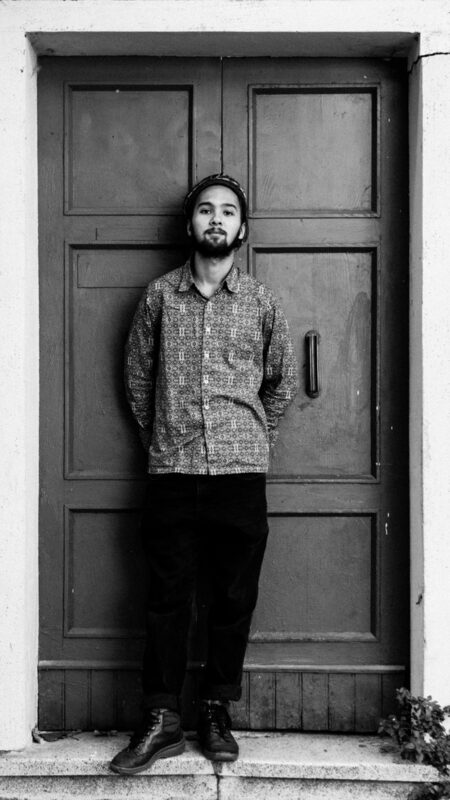 With his gentle but raw voice and charismatic performance the german-indonesian Reggae-Singer/Songwriter managed to convince the very demanding jamaican audience – radio interviews and further bookings followed. Just like the identically-named Gecko in his country of birth, Tóke, who was born in Jakarta and grew up in the outskirts of Hamburg, quickly gained attention throughout Jamaica. Now this signal is echoing back to Europe. After various bandprojects the 23 year old artist started his solo career. In his six track debut EP “Troddin’ With A Vision” Tóke raises awareness for traces of colonialism in the present day (Dreadful History), questions broadly accepted social norms (Deviation Of The Norm), reveals personal self-doubts (Lost In The Limitless) and finally states his burning love for the Music (Troddin’ With A Vision) with an exciting mix of Reggae, Soul and Acoustic. Now Tóke, alongside the italian reggae label Bassplate Records, is ready to release his new album “Wake Up Inna Kingston”, heavily inspired and influeced by his staying in Jamaica.